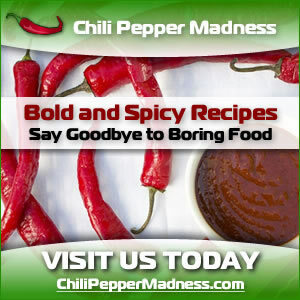 Welcome to Habanero Madness, dedicated to habanero peppers - including habanero pepper recipes, cooking with habaneros, growing and harvesting habaneros, and a general habanero pepper lifestyle. We love habaneros so much that we've decided to dedicate an entire site to this pungent pepper, so perfectly hot that you once you get hooked, you can never go back to plain food. 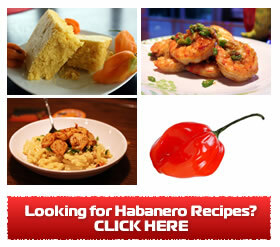 Our goal is to bring you special habanero recipes and cooking tips that you'll find useful in grilling and in the kitchen. We focus on recipes that are not overly complicated or require a degree in the culinary arts to prepare. These are habaneros! Recipes don't need to include too much pizazz. The habanero peppers have that automatically built in. 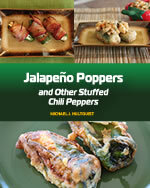 We focus on habanero pepper fun, so we hope you'll enjoy cooking with us. 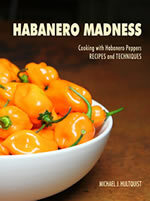 Habanero Pepper Madness is part of the Madness family of web sites, including Chili Pepper Madness and Jalapeno Madness. We hope you can enjoy them all. Lastly, if you're looking for a special recipe but can't find it, please feel free to contact us and we'd be happy to whip something special up just for you. Or, if you have your own favorite recipe that you feel should be shared, send it along. We'd love to see it.